Dogtown Books Owners Lucas and Caroline are hosting a Valentine's Day Open Mic on Thursday February 14 from 6-8:30pm. All community members, romantics, lonely hearts, and cynics are invited to stop by to listen, or share an original or cover poem, a song, or monolgue. 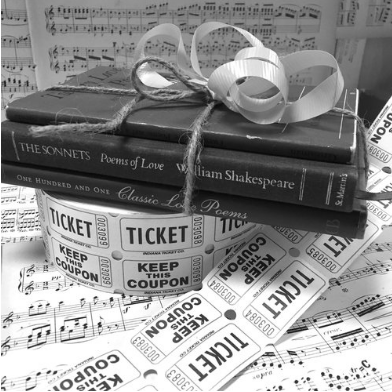 Sonnet Workshop participants are guaranteed a spot on the reader's list! (Workshop on Sunday February 10; click for details) We’ll have chocolates! Plus, we'll be raffling off a very special set of poetry books. Attendance is free, donations are accepted, raffle tickets are $2 each, limited to 5 tickets per person. Just show up to listen, hang out with other book lovers, take yourself or someone else on a Valentine's date, and/or share a poem you like! Keep in mind, all open mic performances must be under 4 minutes in length.